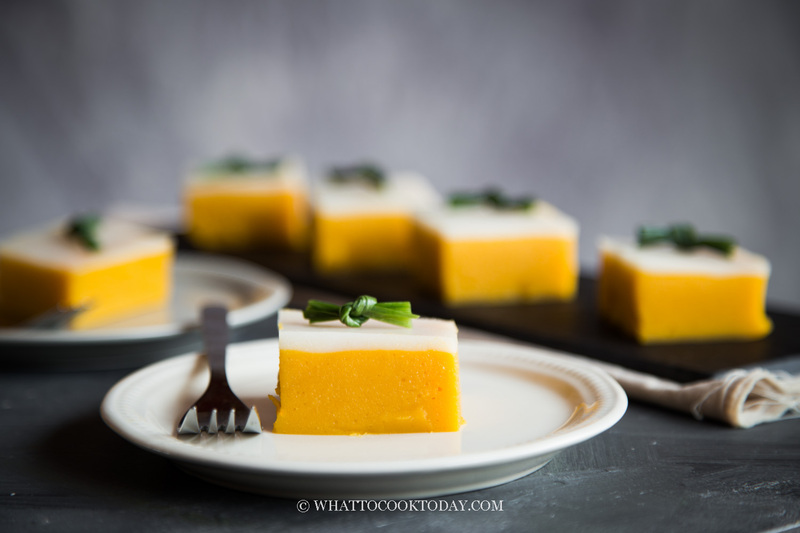 Two-Layer Sweet Potato Cake (Kue Talam Ubi) – Learn how to make this easy classic Indonesian steamed kue talam ubi where a layer of sweet potato mixture and coconut milk are steamed to give you a soft and bouncy cake. Naturally gluten and dairy free. Kue talam ubi is one of my absolute favorite Indonesian cakes. 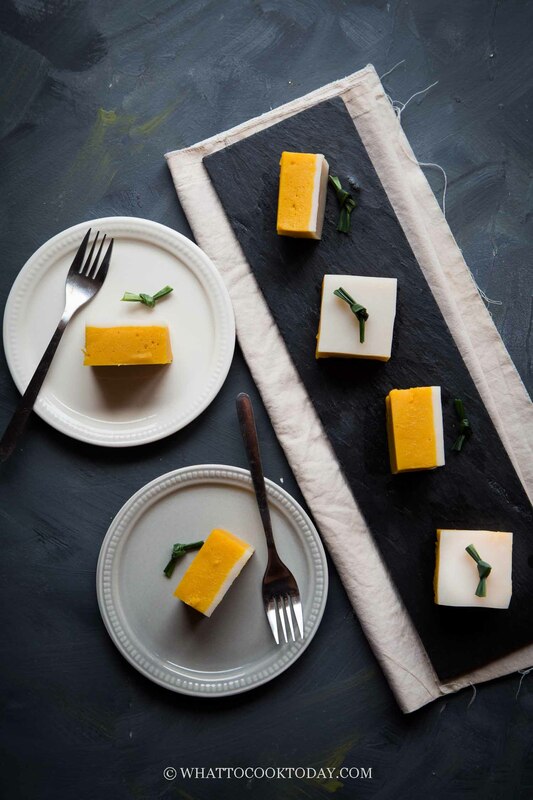 Due to the lack of oven back in the old days, most of Indonesian (or Asian for that matter) cakes are steamed. 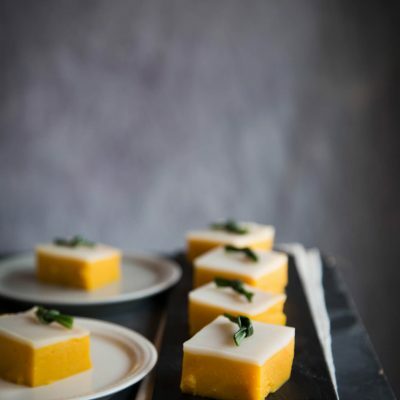 This kue talam ubi is another example of how coconut milk is used in pretty much lots of Southeast Asian cakes, desserts, and savory dishes. WHAT IS KUE TALAM UBI? 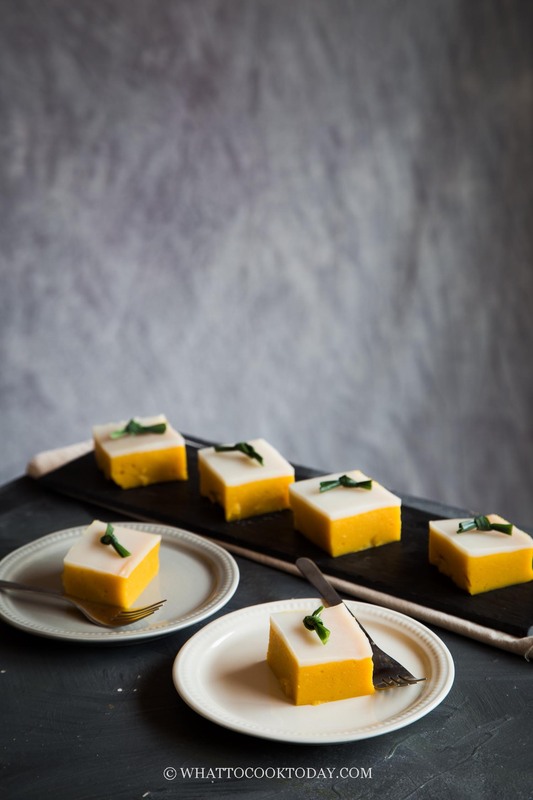 Kue talam is characterized by its two-layer look. The bottom layer is made with sweet potato. Sometimes you will see purple version where purple sweet potato is used. 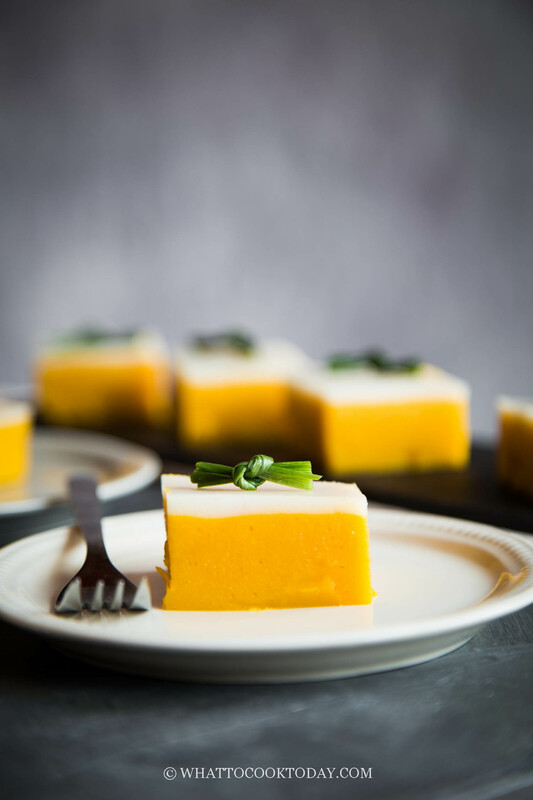 The mashed sweet potato is mixed with gluten-free flour like rice and tapioca flour, which you will find being used a lot in Southeast Asian dessert and cakes. The sweet potato layer is steamed first until the layer is set. The top layer is made with coconut cream and a mixture of rice and tapioca flour too. This layer is then poured on top of the sweet potato layer and then steam until it is set. Don’t get intimidated by what seems like a long list of ingredients. They are all easy to find ingredients. Make sure the cake is completely cool down before you cut them. I just love the beautiful and natural vibrant color the sweet potato gives to this kue talam ubi. 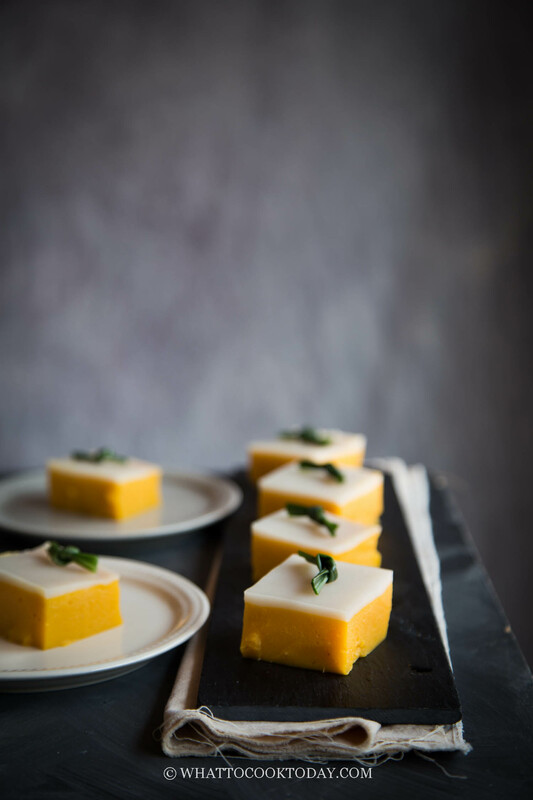 Learn how to make this easy classic Indonesian steamed kue talam ubi where a layer of sweet potato mixture and coconut milk are steamed to give you a soft and bouncy cake. Naturally gluten and dairy free. Feel free to use individual ramekins or any cups suitable for steaming to steam this kue talam ubi. A stunning looking cake! I wish I had a steamer!!! So classy, so elegant! I can imagine a tray with half the kue talam just as you have prepared it here and the other half with purple sweet potato. Wouldn’t that be gorgeous? Especially if you make for Halloween. So much healthier than candy too! I love how Asian dessert use a wide variety of plants in such creative ways and are never overly sweet. Pinned! Sweet potato and coconut milk!? I haven’t tried this yet but I know I’m going to love it. Stunning. I’m sucker for sweet potato AND coconut milk, put them together and there’s no stopping me 🙂 Thank you so much for stopping by.